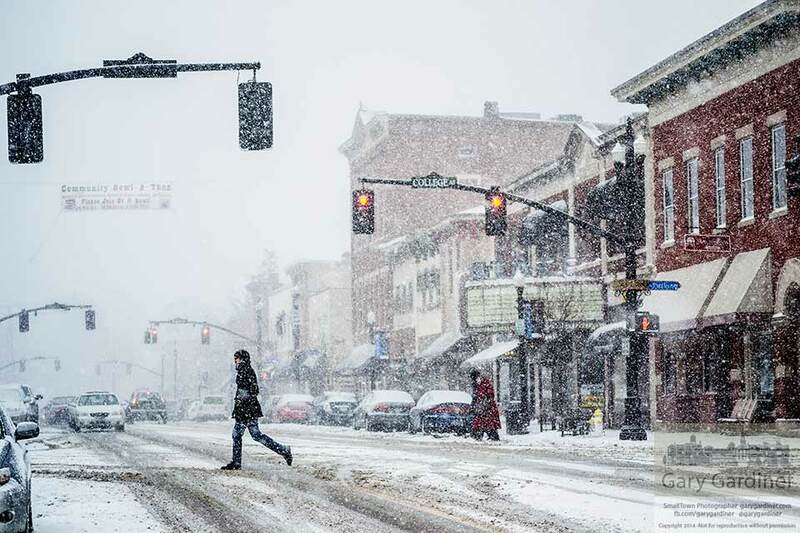 A shopper braves a strong winter snow squall as he crosses State Street in Uptown Westerville. My Final Photo for Jan. 25, 2014. I miss my home town of Westerville. But, sorry, I don’t miss the harsh winters. Love these pics, as a gentle reminder of ‘home’.